Dear Members and the wider Dystonia community, we have secured 14 – 21 September inclusive for the Australian Dystonia Awareness Week on the National Government calendar. 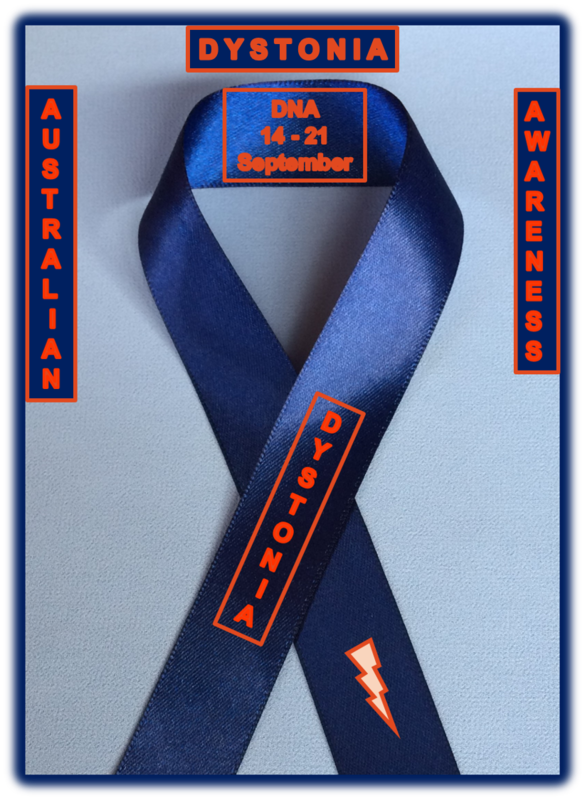 This does not mean that other world dates cannot be followed but that this particular week is for Australian awareness of dystonia and we can organize our annual seminar and other activities around these dates. 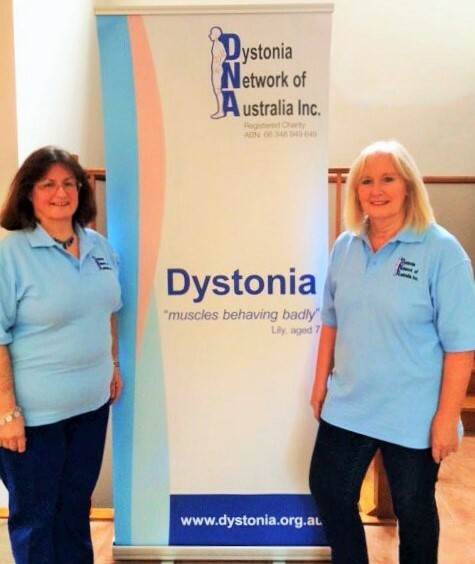 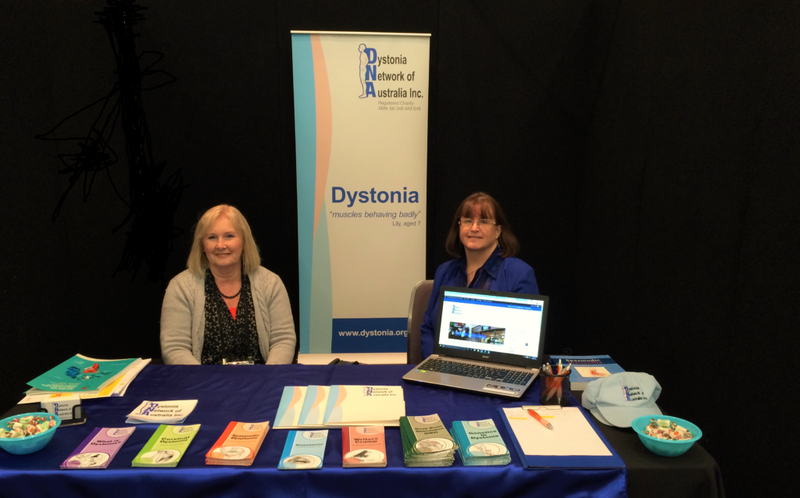 This is of course open to all other Australian dystonia organisations and groups we will be contacting them and other interested parties, including our advisory board. 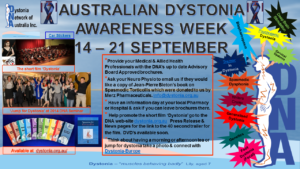 So put your thinking caps on and think how you might celebrate Dystonia Awareness.